Photography: Tim Page and Michael Klinkhamer and others. Tim Page is a an English born, war photographer(68)whose pictures became best known during the Vietnam war. During the 1960s Page operated as a freelancer for UPI and Associated Press. His images where published around the world, including in Time and Paris Match magazines, and helped shape people’s perceptions on the conflict in South-East Asia. 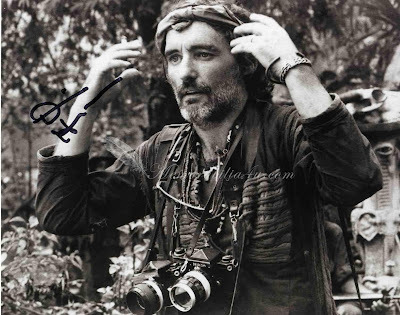 The drug-addled-brave war photographer played by actor Dennis Hopper in the movie Apocalypse Now (1979) was largely based on Page. 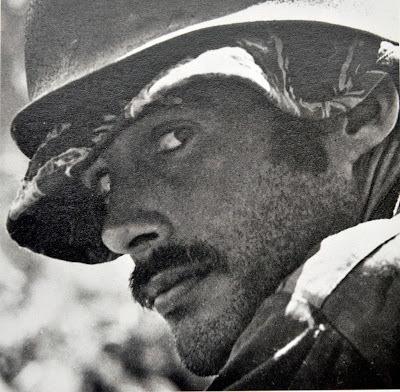 He was regarded by his press friends from that time as one of the craziest and most daring photographers running around between Saigon, May Lay and Hamburger Hill. Sure, he has mellowed down since then, and now only smokes 30 joints a day, and drinks Coke with ice. "It's all right, it's all right! It's all been approved! 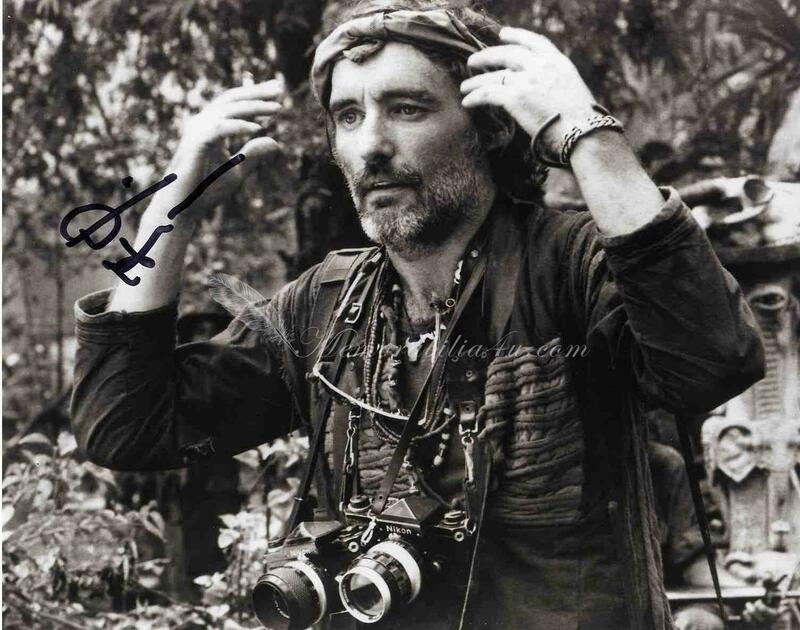 "I shoot this war since 1964, in Laos, Cambodia and Vietnam," cries the actor Dennis Hopper during another mad scene from the 1979 movie Apocalypse Now! 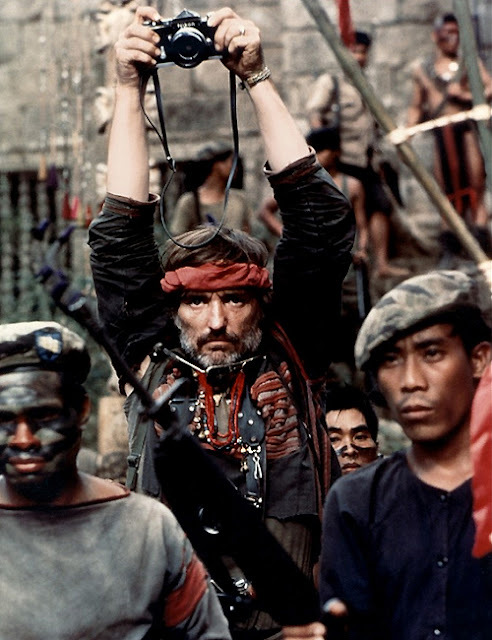 Dennis Hopper in Apocalypse Now! I meet Tim Page before the opening of his latest photo exhibition ‘Land is Life’ at META House. A cultural hotspot in Phnom Penh. His recent pictures are shown on large A0 size prints. Pictures of landless and poor people of Cambodia finally receiving their own plot of land, through Social land concessions paid by the World Bank and the German organization GIZ at a $ 2 million budget a year program. Tim Page was hired to do the pictures. Like a dinosaur in the digital age. Tim Page left his native England in 1962 as a 17-year-old boy to go travelling around Europe, to the Middle East and then through India and Nepal, into South East Asia. Page ended up flat broke in Laos. ”I was just dumb lucky to be in Laos on the right moment, and lucky to get those photo’s out of the country at the moment of an escalating civil war conflict, a kind of beginners luck. I was not a professional photographer at that time.” This luck led to regular work for UPI. Paying him $ 90, - per week as a regular correspondent for UPI. The Laos pictures were also noticed by an AP editor and photographer Horst Faas in Saigon. After this first break, Page went straight to Saigon, where he was considered a'rookie' press photographer. "I was only taken seriously by my colleagues after my first spectacular cover photo and a double page photo were published in Time-Life magazine. Before that I was the laughing stock for the editor, recalled Page. “I was just as green as grass, back then”.Well known journalists and writers of that time in Vietnam told in their newspaper and magazines publications about Tim Page as the most "extravagant" of all the lunatics that ran around with a camera in Vietnam. 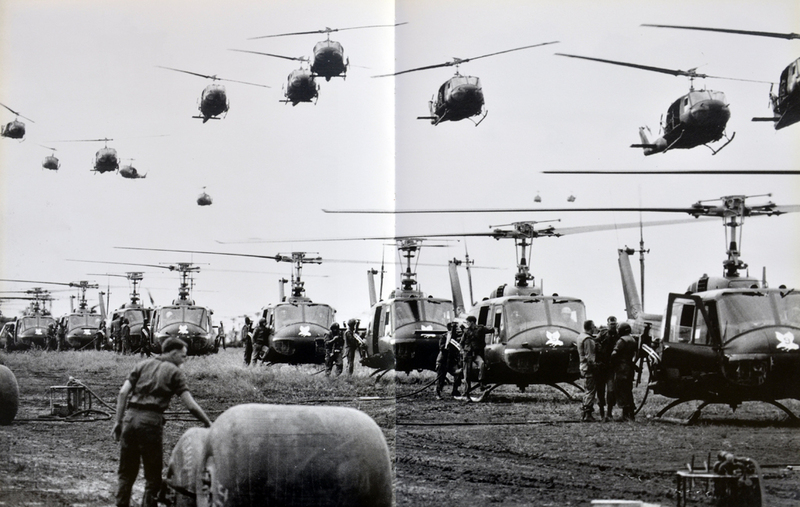 “Eventually I also was mentioned in a couple of published Vietnam books, like ‘Dispatches’ by Michael Herr. After some time those books and articles and word-of-mouth stories apparently ended up with Francis Ford Copolla, the director of Apocalypse Now." TIM PAGE Out with the right gear. "Also with Dennis Hopper. Who – as Page puts it “was completely insane at that time and lived on the brink of madness”. Shot four times, and live to tell. Of stories he has plenty. "I covered my first combat in 1964 and was immediately thrown to the lions. During the Vietnam war I was four times wounded. 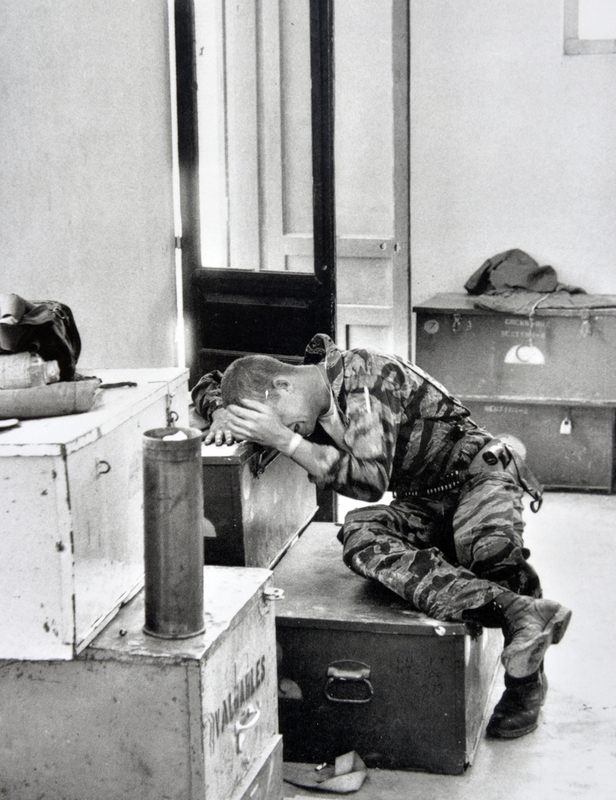 In 1965 in Chu Lai by shrapnel in my face so I thought to have become blind, but that ended well. Then in a separate incident he suffered wounds to the head, back and arms. In 1966, on the South China Sea. He was caught in a ‘friendly’ fire incident and wounded up seriously injured at sea.“Three people slain, and a great number of serious injuries, including me”. 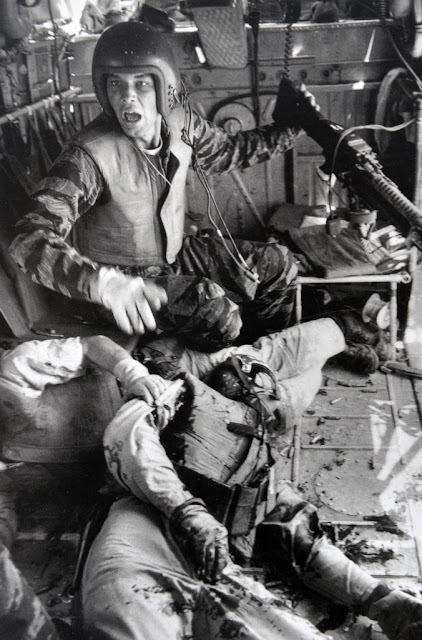 Finally, in April 1969, I jumped out of a helicopter to cover a routine story during a evacuate mission with severely wounded and dead soldiers. We jumped from the helicopter and at the same time a sergeant who walked in front of me stepped on a landmine. I got a 5 cm large piece of shrapnel in my head. The fact that I sit here is a fact of pure luck, there is 20% of my brains surgically removed and my head is filled with a kind of epoxy plastic, so I'm partially paralysed. I must say that I have very been lucky to even survive that. " "Through this series of serious injuries and accidents my fellow journalists joked that I would never make to 23 years. During combat operations, I always just joint in between the military. With my camera’s dangling around my neck. I had to survive. The soldiers gave me normally a weapon; that saved them extra work and meant they did not feel they had to watch over me. I was basically just as old as the average American soldier. Because of this, I was really one of them. I spoke the same, and lived the same. Photo: Tim Page Universal Soldier. “The ultimate rush you get in a war situation, I must admit is very addictive. The adrenaline rush that you get during the fighting is greater than yourself, and once you jump out of a helicopter, you are part of a larger whole. There is no going back and you have to join in with the fight. I held my camera for my face and took pictures like crazy. I photographed everything, I saw- out of pure fear, really. Later, with more experience I got more control and chose my photo opportunities better. I was actually a total amateur when I arrived in Saigon in 1965. I just always had luck and I worked with very experienced journalists and photographers. 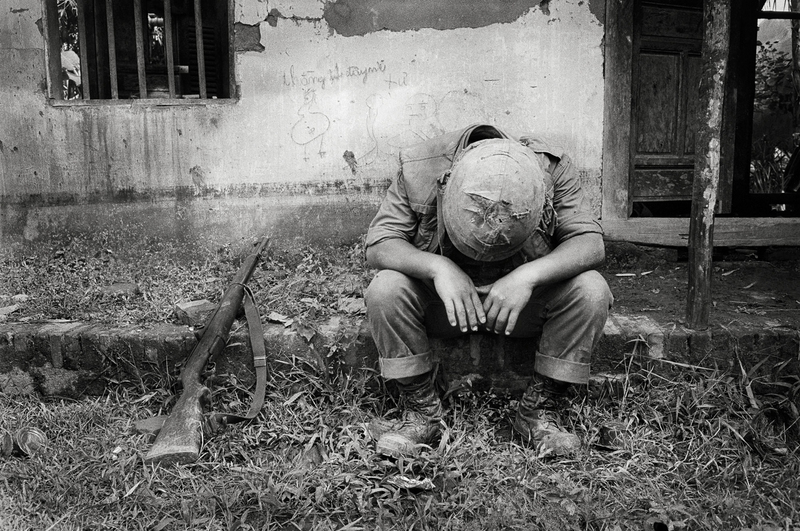 Many of these people have unfortunately lost their lives in Vietnam." “My best photo’s colleague, and ultimately my most important real friend of that time was Sean Flynn, the son of the famous Hollywood actor Errol Flynn. 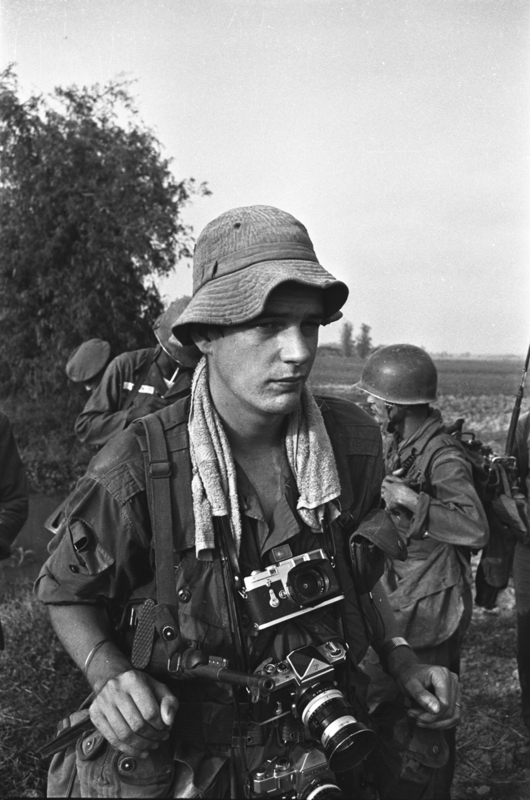 Sean Flynn became a great independent war photographer who eventually was one of the last photographers that continued shooting the events after the war, in Vietnam and Cambodia. He did not make it until the end and was probably killed by the Khmer Rouge somewhere in the seventies on the border between Vietnam and Cambodia. 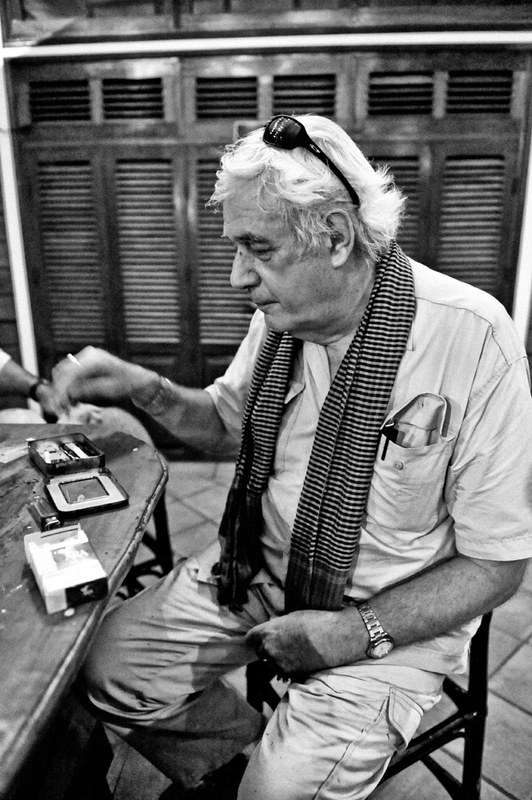 Together with him I quickly learned the harsh and dangerous photojournalist profession, and we also had the most fun. " Tim Page falls silent and looks emotionally drained. He heaves a deep sighing and wipes the sweat from his face, smiles softly and takes a deep drag from his locally flavoured cigarette. Photographer Seann Flinn, Photo by Dana Stone. 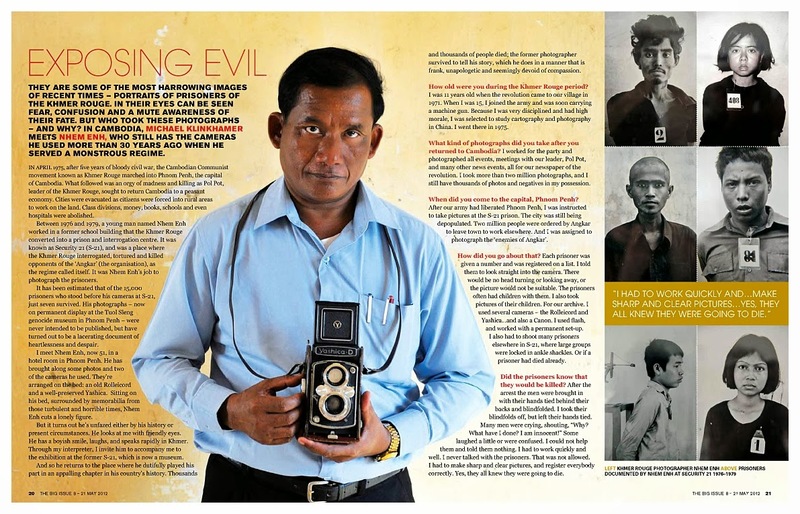 "During the seventies and eighties, I went back to Cambodia and Vietnam searching for the remains of missing journalists and photographers. For example, my photography colleague Sean Flynn’s remains were never found. 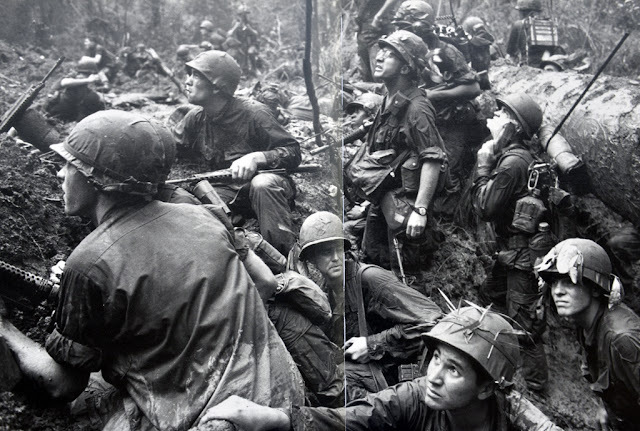 During my research on this "missed in action” and POWs (prisoners of war) I came in close contact with the Vietnamese media people and North- Vietnamese photographers of that time and so received more insight into their experiences in what they call ‘The American War’. A National Geographic documentary was made in 2002- Vietnam’s Unseen War; Pictures from the Other Side. 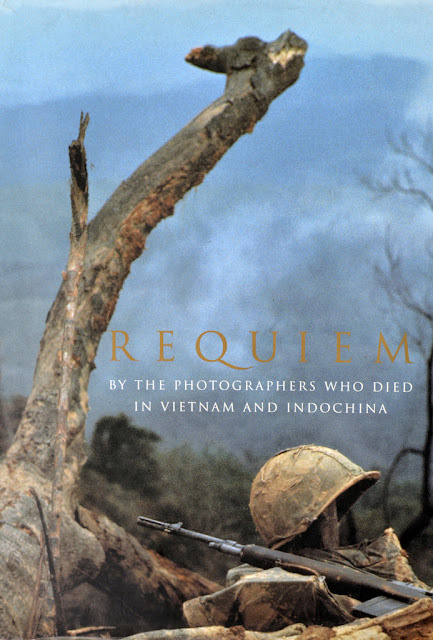 Page cites it as something he is proud of, along with his 1997 book Requim, which commemorates the work of photographers killed in the South East Asia conflict. Now he says, “My role is currently as someone who symbolizes all those photographers and journalists who died during the Vietnam War. All though my pictures are perhaps not as iconic as some of my fellow photographers, but most of those guys are dead so, I owe them that. I've always been really lucky and that's why I am still here in Cambodia. It’s a great honour, really to do this and still be around. Yes, you could call me a Lucky Guy." All Images below from the book by Tim Page and Horst Faas. Requim; By the Photographers Who died in Vietnam.